In my last video i have shown how to make a flower from colorful clothes. I hope you liked that recycled crafts. 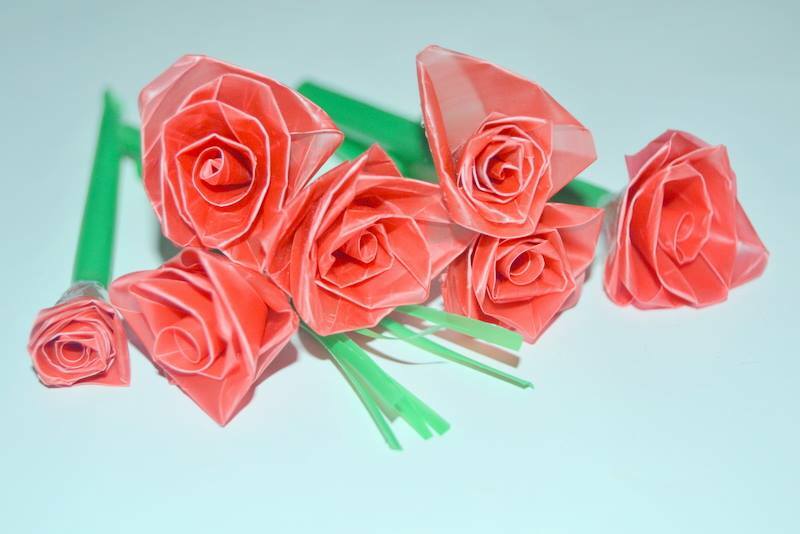 Today I am gonna show you how to make another recycled flower craft from drinking straw. To make this drinking straw craft you will be needed some colorful drinking straws, scotch tape and hot glue.Watch the video carefully and follow the steps. I m sure you can make it very easily. So do it yourself to make a nice drinking straw craft. Let me know your ideas too. thumbs up if you like and comments bellow. For more updates please subscribe to the channel. How to make flower with clothes. How to make a pen-holder from waste materials. How to make wall hanging from papers. How to make flower vase from plastic bottles. In case you get interested with my more works the following links are given to get them easily. Theme images by HKPNC. Powered by Blogger.